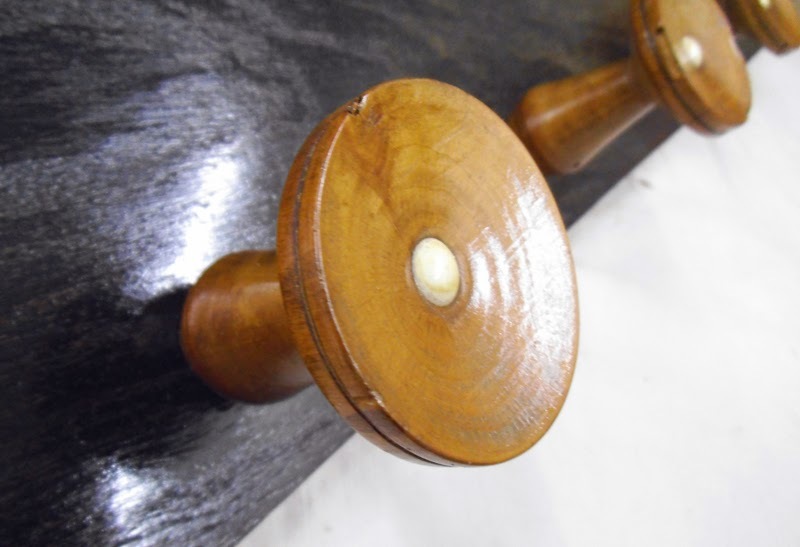 A coat rack made entirely with reclaimed wood. 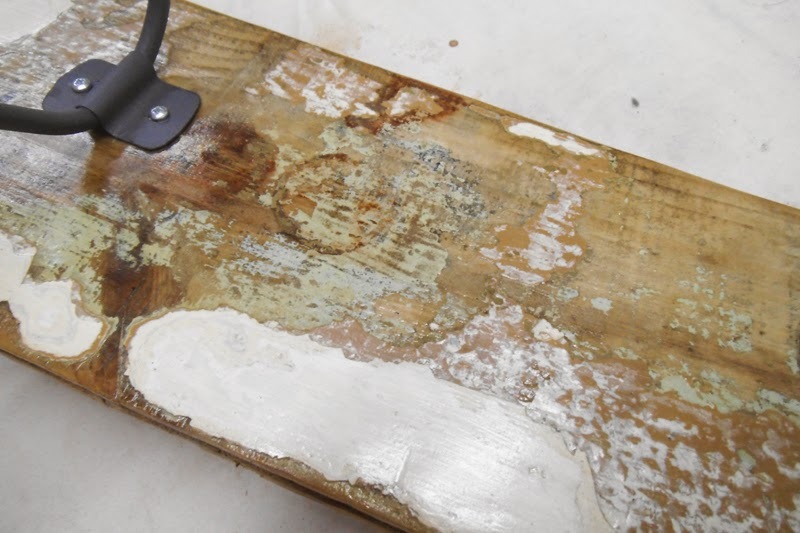 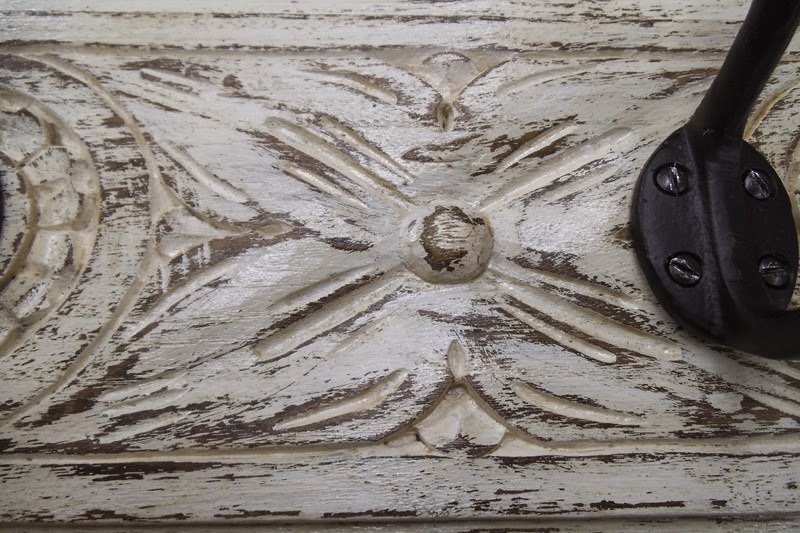 The central part and the four hooks are painted in light gray and distressed, the thick frame is left in its original colour. 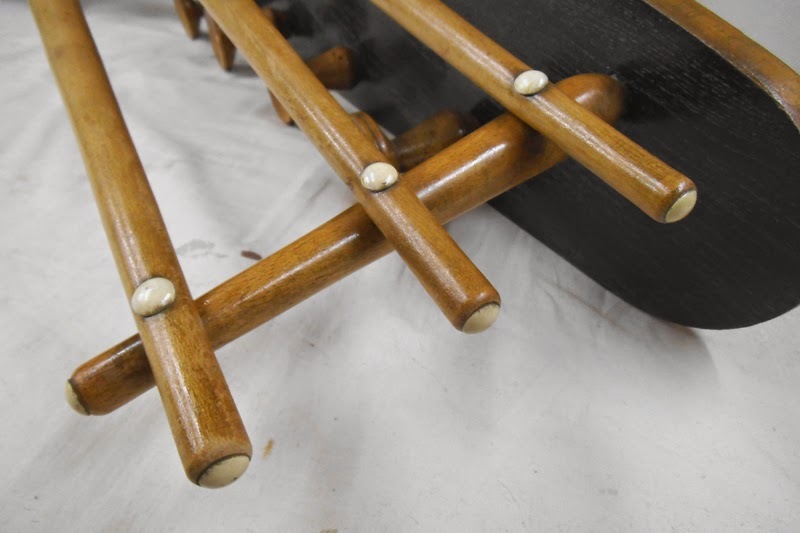 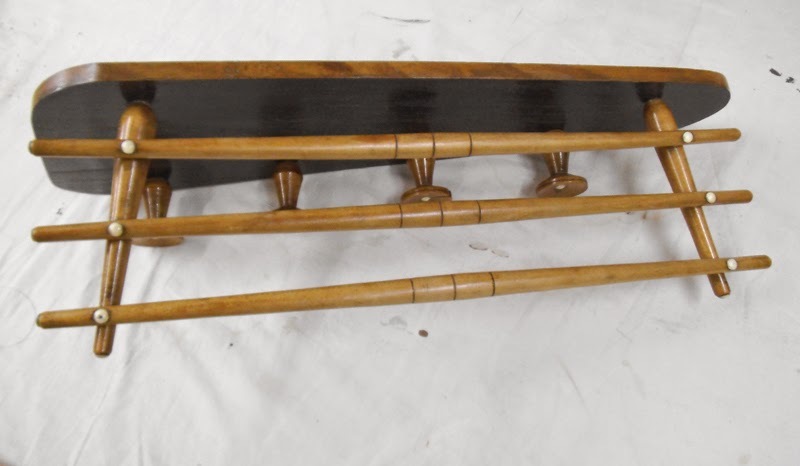 Measures: 74cm long, 13cm wide. 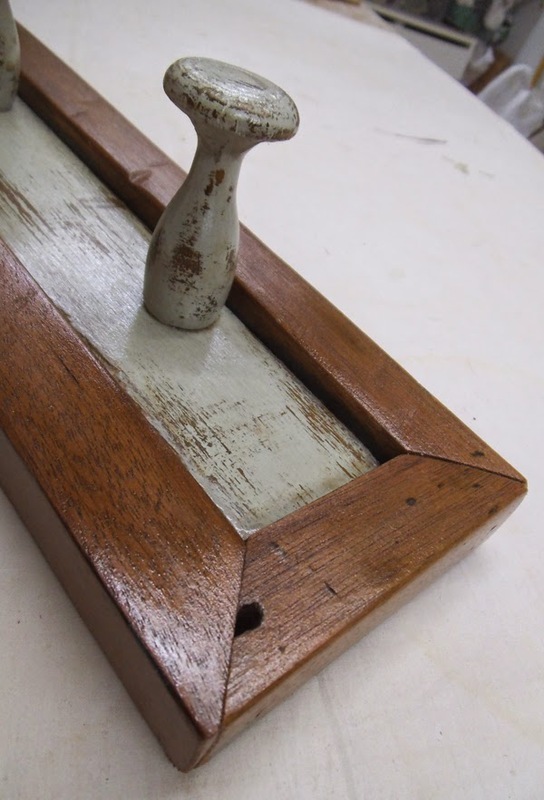 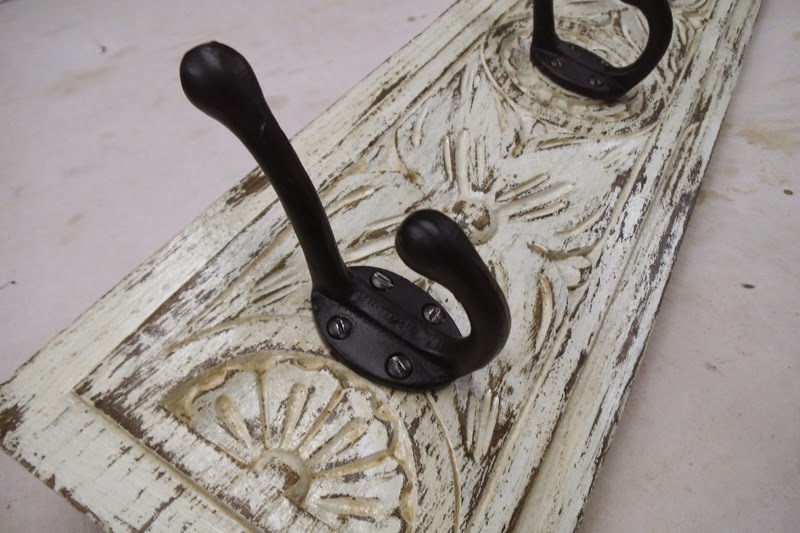 Three coat and hat cast iron hooks mounted on the upcycled front of a hand carved drawer. 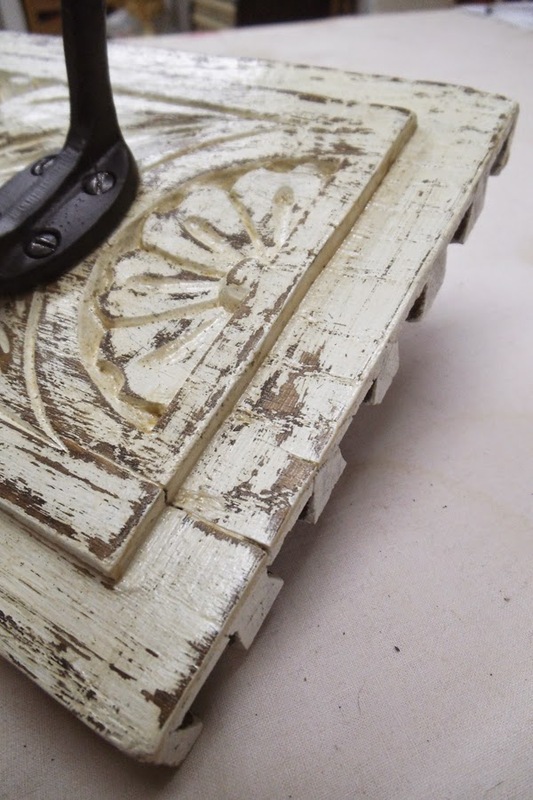 I have painted it in an off-white tone and distressed it to highlight the design. 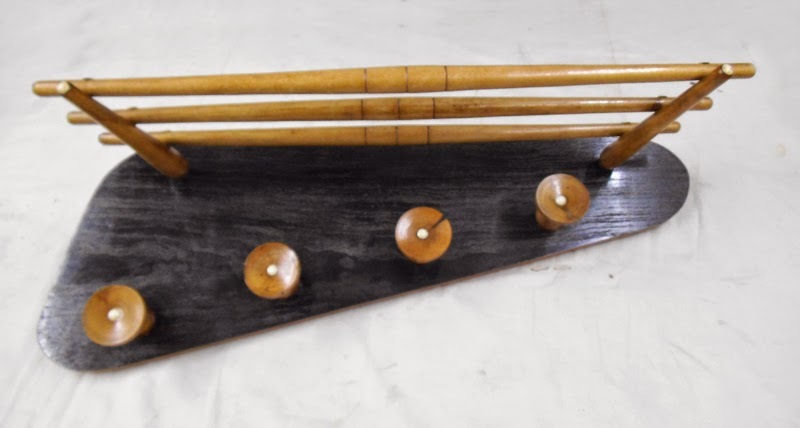 Measures: 50cm long, 15cm wide. 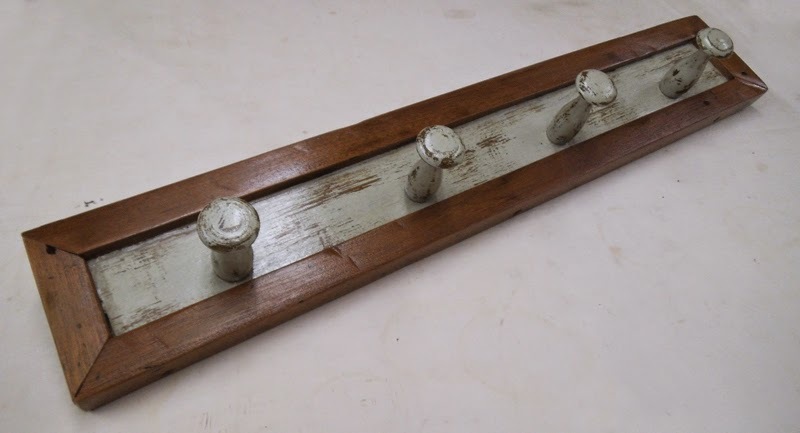 A wall coat hanger with top rack in solid beech wood from the 1950s. 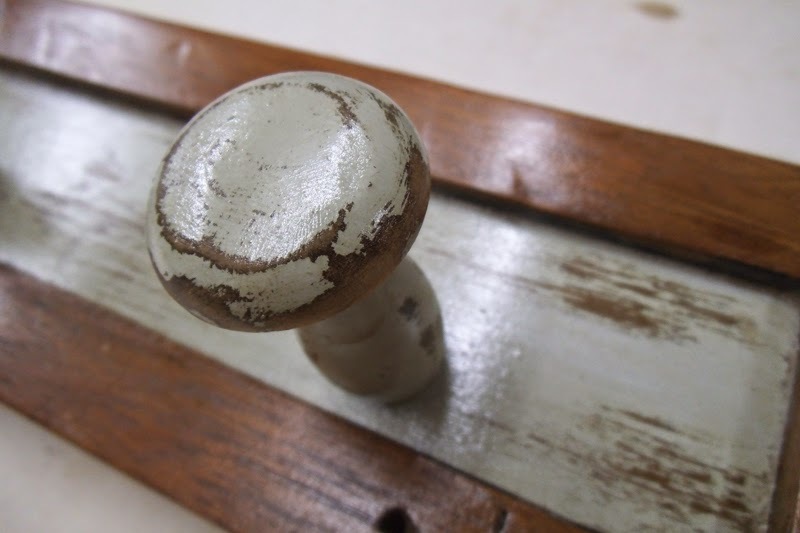 I have just restored it, without altering the original colours or the lovely Midcentury Modern design. 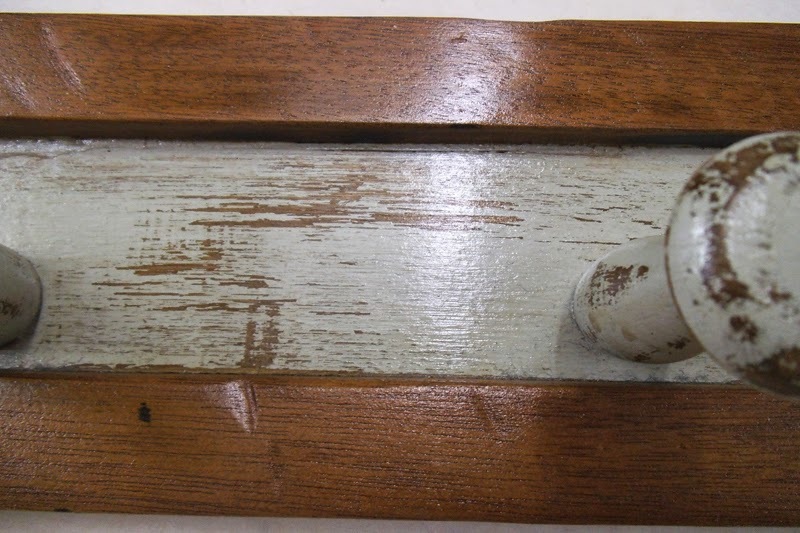 Measures: 68 x 25cm, the rack is 20cm deep. 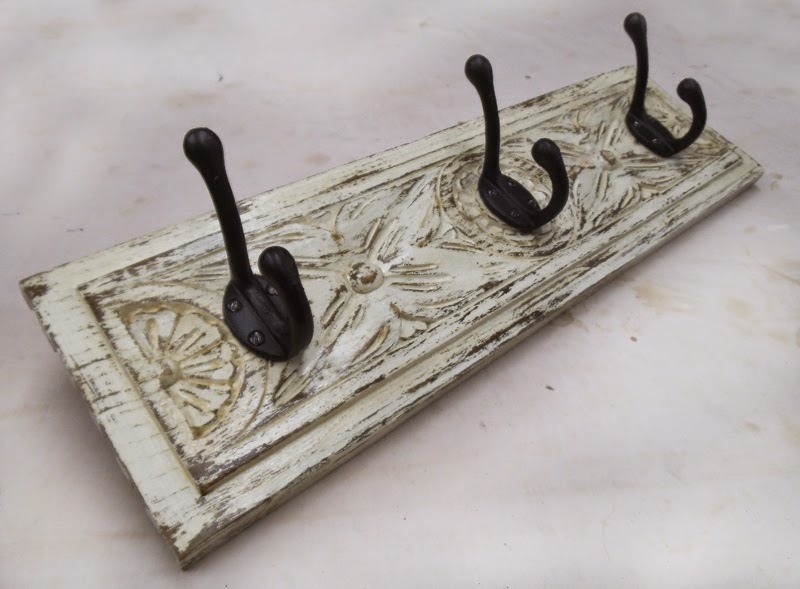 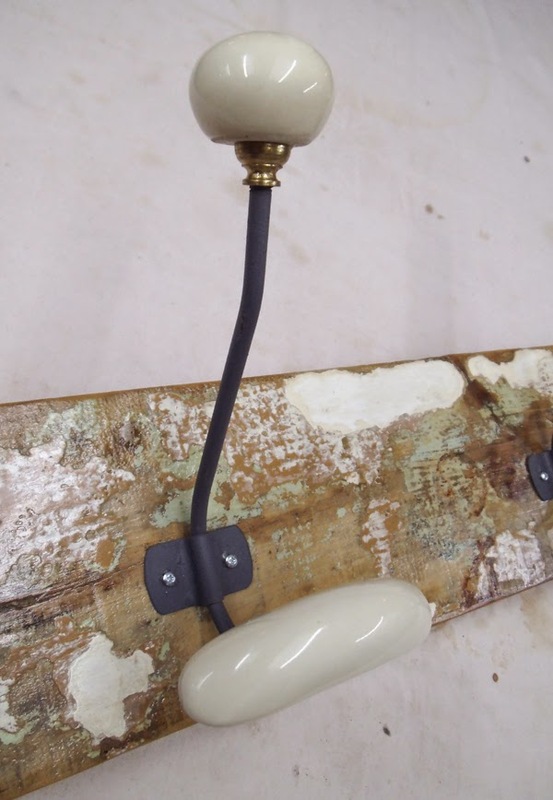 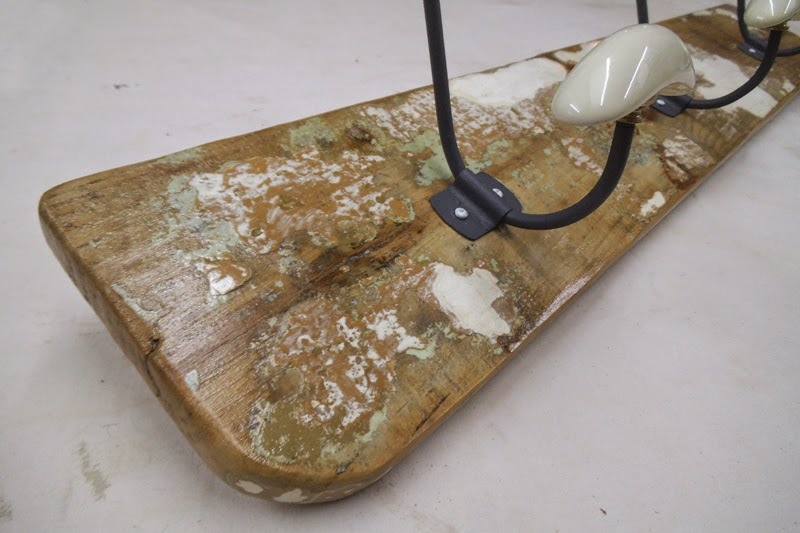 Three coat and hat hangers with porcelain knobs mounted on reclaimed pinewood board with a distressed finish.